It’s a fact. Chronic stress affects your appetite. For some, stress reduces appetite and for others stress causes ravaging hunger. Either way, you need healthy, organic food that soothes stress so that your body can cope. This is the very best form of medication. Of course, many us of have a tendency to eat inflammatory junk food when stressed. Eating food laced with chemicals, sugar, hydrogenated oils and empty calories fuels the fire of chronic stress and only makes you feel worse in the end. It’s amazing that even though we know this, some of us still fill our faces with junky “comfort” food that sends us further down the road to misery and an early death. This can only be called self-sabotage. If it’s time for you to end self-sabotage by junk food, say hello to the new comfort foods. Dark chocolate contains magnesium, which helps ease emotional tension. Dark chocolate also contains theo bromine, which is a natural mood elevator. Find a good source of organic, raw chocolate for even better results. Don’t overdo it! Almonds are rich in vitamins B2 and E. Both of these nutrients boost the immune system during episodes of stress. Just a few almonds a day does the job. Spinach is high in magnesium, the mineral that helps regulate cortisol levels and promote emotional well-being. A cup of spinach per day provides 40 percent of your daily need. The high levels of tryptophan in turkey signal the brain to release serotonin, which promotes calmness, peace of mind and even sleepiness when you need it. Oatmeal also promotes serotonin in the brain. Use old fashioned, courser oats as they take longer to break down, which is easier on your pancreas. Sweep potatoes are full of fiber, beta-carotene, and other immunity-boosting anti-oxidants that fight inflammation and give you a smooth, peaceful feeling. Yogurt is a wonderful, calcium-rich, probiotic and acid neutralizer. Go with organic yogurt rather than the stuff made with contaminated, commercial dairy products! Stress and depression has been linked to low levels of folic acid, which can be found in abundance in asparagus. A single cup provides two-thirds of your daily value. Full of B vitamins, avocados are a great stress buster. They’re also high in potassium and monounsaturated fat, which lower blood pressure. Blueberries are the low sugar super fruit packed with antioxidants and vitamin C, making them great stress-busters. The body needs vitamin C and antioxidants to help repair and protect cells. 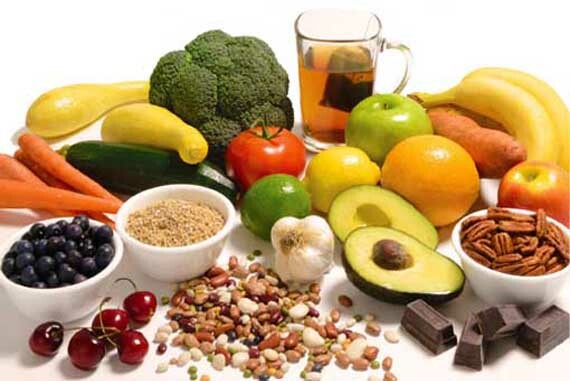 Imagine spending the next three weeks incorporating these super nutritious, calming super foods into your diet and eliminating inflammatory foods that promote stress. You’ll feel the difference! Reasons Why Lists Are Important.